Join us as we celebrate local business at the Greater Gainesville Chamber Business After Hours hosted by the UF Performing Arts. Enjoy food, drinks, door prizes and great company. Voyage across the oceans with one of National Geographic’s most seasoned photographers and discover a vast, hidden world beneath the waves. 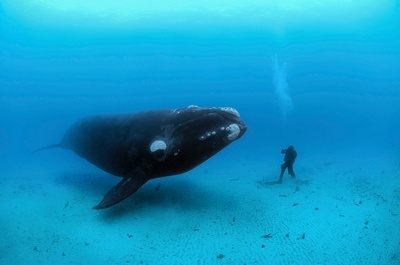 Using his camera to communicate, Brian Skerry has spent more than 10,000 hours underwater telling the oceans’ stories. His images celebrate the mystery of the depths and offer portraits of creatures so intimate they sometimes appear to have been shot in a studio. Skerry dives eight months of the year, often in extreme conditions beneath Arctic ice or in predator-infested waters, and has even lived at the bottom of the sea to get close to his subjects. 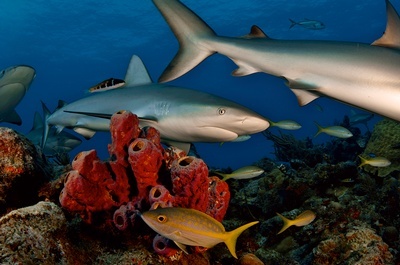 National Geographic Live is a night of exploration through film, photography, and discussion with acclaimed National Geographic photographers. Experience nature through the eyes, lenses, and words of the researchers, scientists, and storytellers that have made National Geographic an icon of global media. 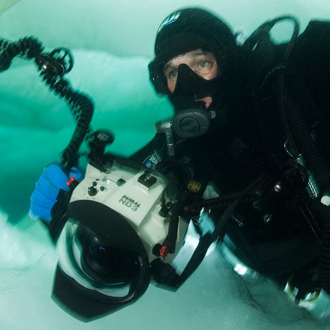 The approximate run time of the performance is 65 - 7o minutes followed by Q&A between the speaker Brian Skerry and the audience. Business After Hours (5:30-7:00PM): Free for Chamber Members and their employees.